Do you see that patch of light in North Dakota? Robert Krulwich wonders: what’s up with all that light seen in North Dakota in a recent nighttime image of the United States? Turns out there is no big city there. 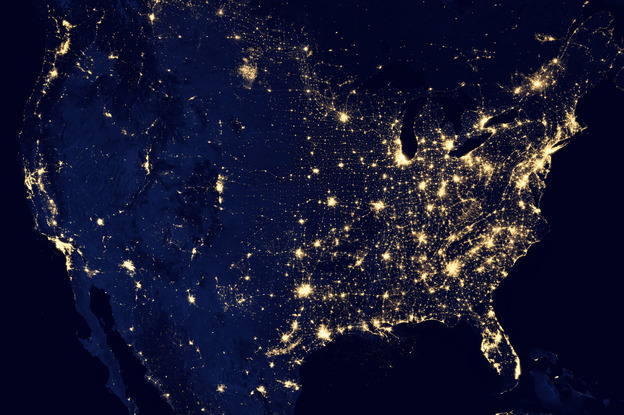 That light pollution is coming from nighttime evidence of an oil boom created by fracking. Those lights are rigs, hundreds of them, lit at night, or fiery flares of natural gas. One hundred oil companies are set up in this region known as the Bakken formation. See the post for more images and great videos.